Of all the questions I ever get asked, this is probably the most common. .... there is never a one size fits all solution or list for all groups (depending on role and part of India, the English is used differently). ......there are so many things THAT SHOULD BE SAID that are not said. While these are not things that should not be said, the fact that they are NOT CURRENTLY BEING SAID is the problem. In this LONG post (as there are 25 entries on the original post, I will break that up into 5 posts of 5 entries each to make it a little easier to digest, plus a 6th bonus post. ), I will share a list of things to avoid saying, how to correct some of those things and also things that MUST be said. Some of the things that MUST be said will be offered as corrections to the first part (things not to say). As a base for this article, I am using a 2007 article from CITE HR. This article, provided by Gops, is used as a base for some common mistakes I have also seen while consulting with Indian start ups working with US clients. The advice and tips given in this article are tips I give in consultations and training programs I have facilitated. We get very positive results when we update, edit and change the language to the 'suggested edits' I will provide below. Use of the Word "Deal"
Right off the bat (to start with) on the title, I'd change the word 'deal.' 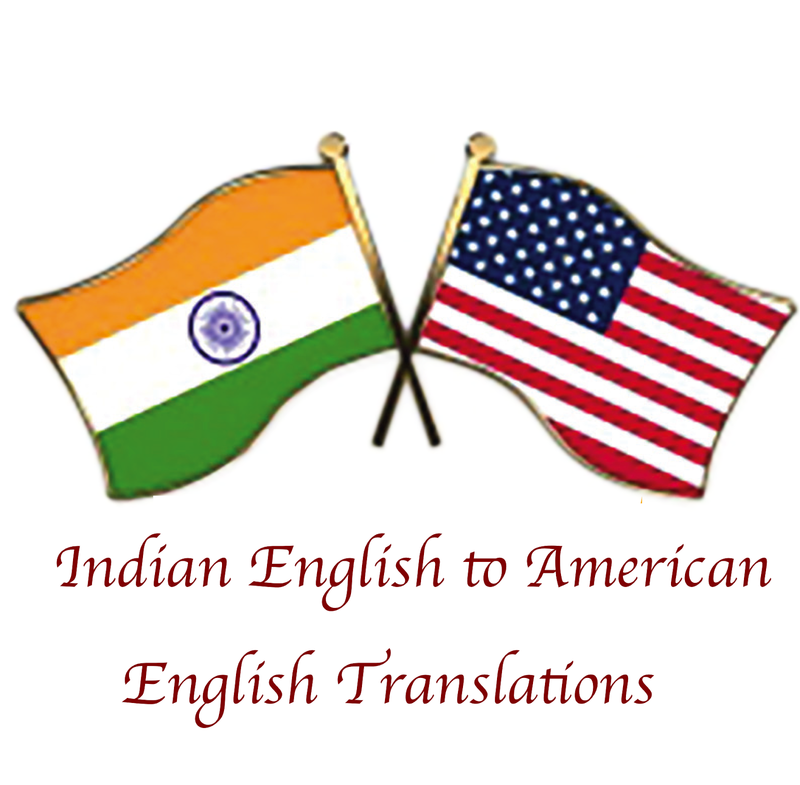 I often hear Indian team members say, "I have to deal with my US clients." or "Help me to better deal with my US clients." What to use instead. Let's think of some synonyms: interact, talk with, build rapport with, work with, etc. Use of the phrase "The Same"
Do not write “the same” in an email - it makes little sense to them. Example - I will try to organize the project artifacts and inform you of the same when it is done. Do not use the phrase "the same" Why? Well, in most cases, I'd agree that the use of the phrase 'the same' could be out of place in some contexts for most Americans. However, as this article was written in 2007, language has changed somewhat. I have heard some Americans use the phrase 'the same', and was taken aback because I always felt it was not very common. What to use instead. It may be best to not use this phrase, though I have noticed more people using it. The suggested updated sentence Gops wrote above is a good alternative. The one change I'd make is to stay away from using "I'll try." The phrase, "I'll try" is not very specific to an American, they may think that "I'll try" means "I may not or probably won't do it." Use of the word "Doubt"
Do not use the word "Doubt"
Why should we not use the word doubt? In consultations with some US clients working with Indians, they told me quite directly, "When I hear the word 'doubt,' it means someone doesn't believe me. Though I know now they want to ask me a question, I can't get over the cultural meaning I have of this word which is that they don't trust me." In American English the word 'doubt' is used in phrases like, "I doubt it," which means "I don't believe it." What to use instead of "Doubt"
Do you have any other ideas for how you can change any of the above words or phrases? Feel free to share them in the comments below, or message me in the message box located on the top of the right hand column (on the desktop site). Use of the phrase - "Regards"/"With regard to"
Do not use the phrase "Regards"/"With regard to"
I'd agree with Gops on this point. However, if you do use this phrase, it's not bad nor will anyone get offended. People will get the basic idea of what you are saying, but it's just not a way English tends to be used in the U.S.
What to use instead. As Gops suggested, use "about this issue." This is a good replacement depending on the sentence. But, let's look at this sentence, "Regarding the e-commerce platform we are building for your company....." How can we change this? "When we look at the e-commerce website...." "In reviewing the e-commerce website..."
Use of the word "Pardon"
Do not say “Pardon” when you want someone to repeat what they said. The word “Pardon” is unusual for them and is somewhat formal. Do not use the word "pardon"
I do not 100% agree with Gops here. While I do agree it is very formal in American English, it' not the worst word in the world to use. However, there are many other better ways to ask someone to repeat what they have said. What to use instead of "pardon"
Some ideal ways to ask someone to repeat are listed below. They are taken from another blog entitled "What NOT to say and what TO say to provide good customer service to North Americans." - "Sorry, I did not catch the last thing you said." - "If I understand the situation correctly [summarize what they said]. Is that right?" - Ask to repeat only what was missed. For example, "I was able to understand the first three steps of what you have done to solve the problem, but somehow I missed the last step. Could you walk me through that again?" - "Pardon me." vs. "Excuse me." I suggest to use "Pardon me." The reason is because "excuse me" has four meanings depending on the tone. Some English as Second Language speakers may not always be clear in their tone, and mixing this with how someone hears us over the phone could cause problems. For a deeper understanding on the four tones of Excuse Me, click here.